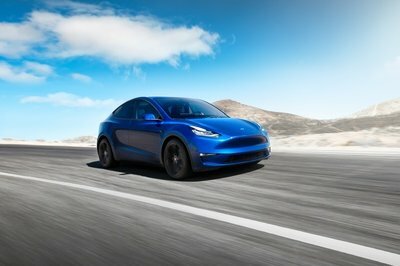 Tesla’s obsession with simplistic futuristic design is perhaps best captured in almost terrifyingly similar stature of its two most important cars - the Tesla Model 3 and the recently revealed Tesla Model Y. Unraveled secrets of the new mid-size electric crossover led the world almost unanimously settle on the fact that the new Model Y is essentially an ideal conjugation between the reasonable Model 3 and the lush Model X. While the design cleverly infiltrates the new mid-size crossover into the world of more expensive coupe-looking propositions on the market, it also resoundingly accepts all the styling cleverness of Tesla’s cheapest model. The Tesla Model Y differs from the Model 3 in what seems to be a few minor details, but it is clear that all of them matter a lot. I explored all the design minutiae between the Tesla Model 3 and the Tesla Model X for you, and it becomes clear - the Tesla Model Y is the smartest thing Tesla ever did. And that because almost nothing is entirely new. The proven Model 3 shape, already tested live since the car’s introduction three years ago, represents one of Tesla’s pivotal design innovations. 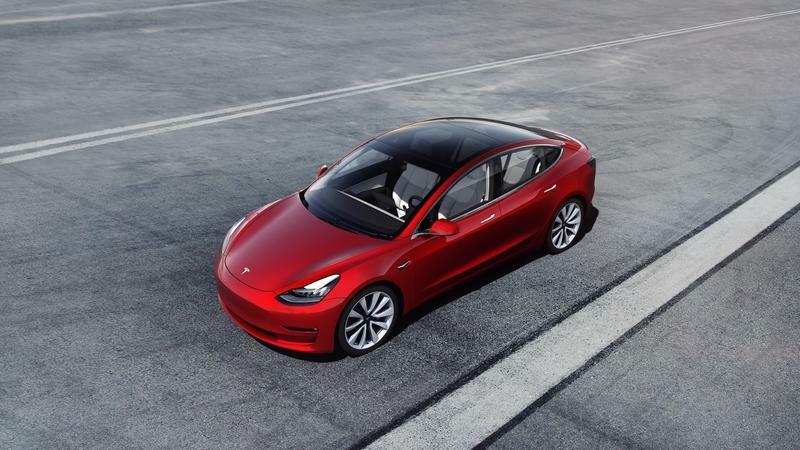 Now "carbon copied" on top of the crossover-prepped Model 3’s structure, the Model Y’s design does feature a few subtle, yet, fundamental changes compared to the sedan. As a perfect reflection of Tesla's minimalistic ideology, the Model Y received the same front end as the Model 3. The devil’s in the details though. 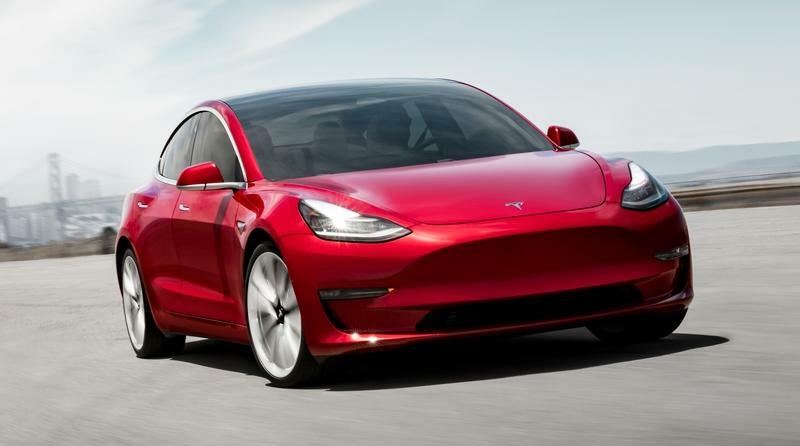 There’s a front flat surface (where the grille would reside on "normal" cars), positioned a little higher and more prominent on the Tesla Model Y compared to Tesla Model 3. 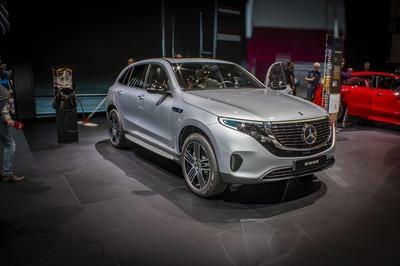 It is a necessary design change followed by the thicker flat side surface on the front bumper just between the fog lights and the headlights. 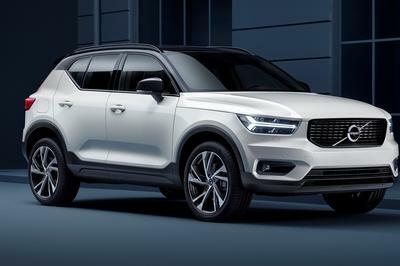 A crafty change in overall style comes with the fog lights that now visually sit under the central bumper lip that stretches the full front width of the crossover. 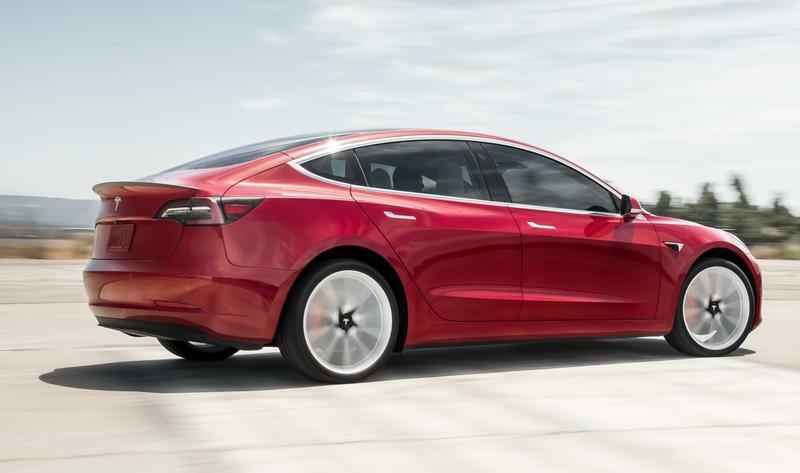 It is a small change compared to the Model 3’s Performance but demonstrates the necessity for some style modifications that come with a slight height increase. 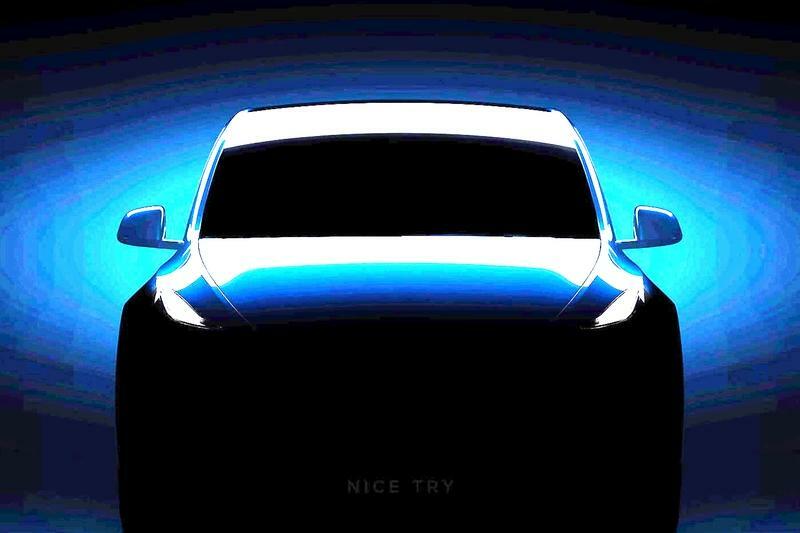 Interestingly enough, released photos of the Model Y show a sharply sloped front bonnet. Moreso than on the standard Model 3. True, it may only be a visual trick caused by the higher positioned roof. However, regulatory requirements for pedestrian safety usually "control" the shape of the front of any new vehicle. Considering that Tesla doesn’t have any money for some crucial design reimagination, I can safely infer that the frunk cover on the Model Y is the same as on the Model 3. I wonder if the trunk has some more depth to it, though? With that said, the front overhang looks to be the same size as on the Model 3 as well. 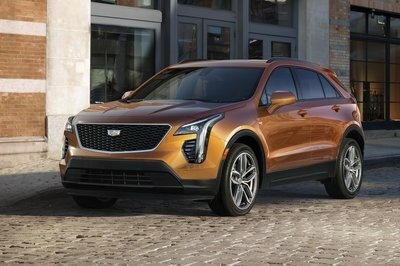 The only clear crossover style addition is a dark plastic protection surface that subtly underflows on the sides of the front bumpers. 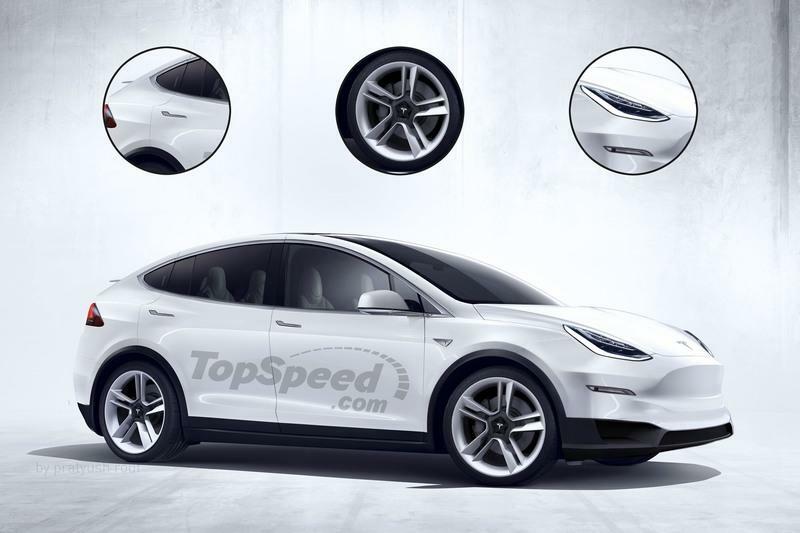 The sides seem to showcase the bulk of the design changes between the Tesla Model Y and the Model 3. 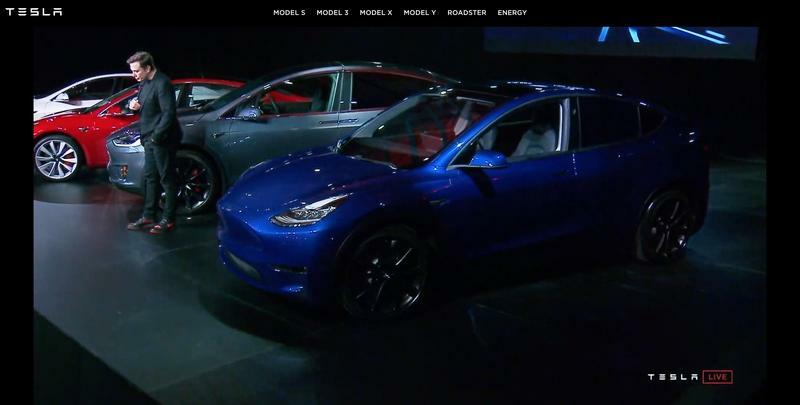 Dark plastic protectors added on the fenders, and the side skirts evoke somewhat adventuristic air of style for the Model Y. More important than that is an actual rise in height with the larger glass surfaces, higher positioned bubble-looking roof, a tad chubbier doors, and higher clearance. Bear in mind that Tesla seems to have been quite conservative with the plastic fender flares. Not even the suspension setup feels as jacked up as some crossover-loving people would like it to be. Set to conquer cities and maybe one or two well-maintained dirt roads, the Model Y looks civil and gentle. Not exactly utilitarian. After all, its mission starts and ends in the city. You can’t find a Tesla Supercharger station on a dirt road, can you? Other evident changes on the sides include more complex relief on the doors and completely different layout of the rear doors. The rear doors on the new Model Y are considerably larger than on the 3. I believe Tesla stretched it to ease the access to the third row of seats. In fact, during the presentation, the Model 3 rolled on the scene with (I think) six people inside. At least one of them was sitting in the third row. A girl (a tiny girl perhaps). However, the short test drives some experienced at the show confirmed my suspicion about the rearmost seats. They are basically like the second-row seats in the Porsche 911. It’s there, but you don’t care for it. Luckily seats fold flat in the boot. While at that, I must mention the all-glass roof that comes as standard equipment. It is a massive panoramic roof that stretches from the front pillars to the back. As it is far thinner than the standard metal roof with all its insulation and stuff, it is sure that Tesla opted for its installation to increase headroom. 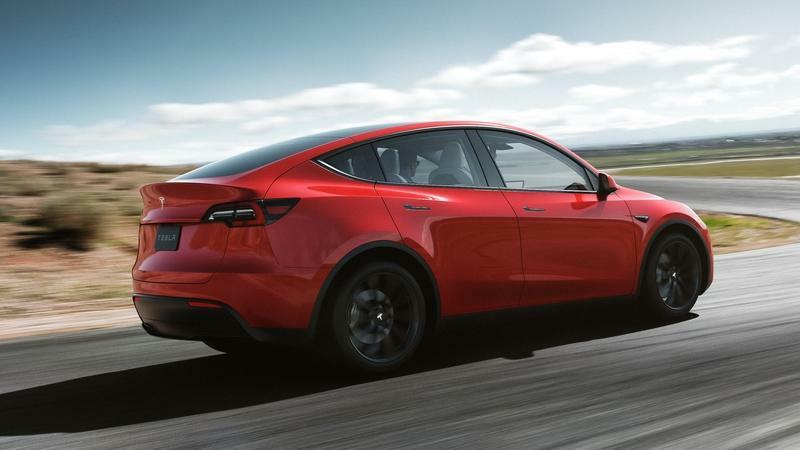 Those lucky enough to drive the 2020 Tesla Model Y did say that the second row offers plenty of headroom despite the coupe-ish shape of the roof. And, don’t worry about the sun and heat during the summer. Tesla’s roofs have IR and UV protection. Plus, the Model Y will have that excellent Cabin Overheat protection and preconditioning that always keeps the temperature at 70 degrees. If you don’t like it and are afraid of the sun, park it under the tree with birds on it preferably. The aft section of the new Tesla Model Y has some obvious differences compared to the Model 3’s rear end. 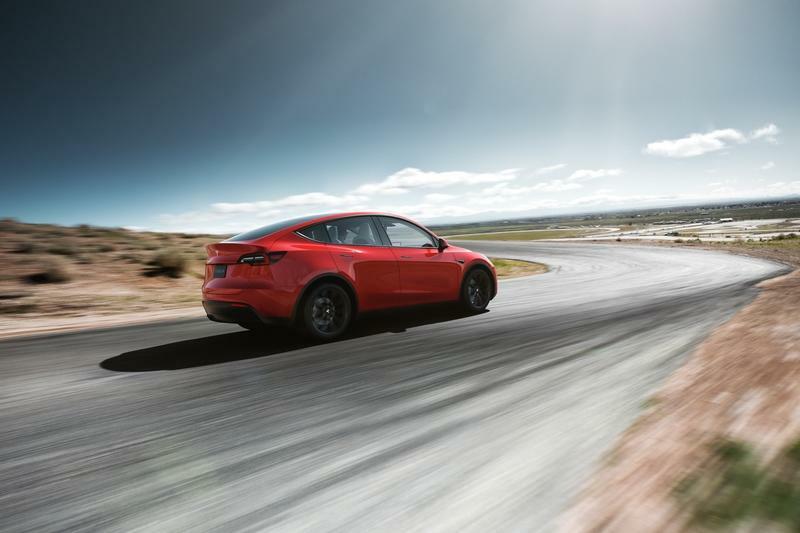 First of all, thanks in part to the hatchback form of the Model Y, the higher positioned and much broader trunk lid offers a massive trunk opening. Small access to the trunk is something many Model 3 owners hated. Well, Tesla’s designers and engineers addressed it with the Model Y. The loading surface seems to have been kept as low as possible. That is something essential for that time when you are carrying 45 bags of groceries because you are too lazy to walk the supermarket parking lot twice. And, your dog will jump in the Model Y more easily as well. Everyone’s happy. 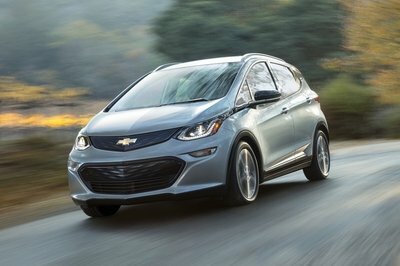 That’s precisely why crossovers, SUV’s, CUV’s, and SAV’s work. They are convenient.... And large. 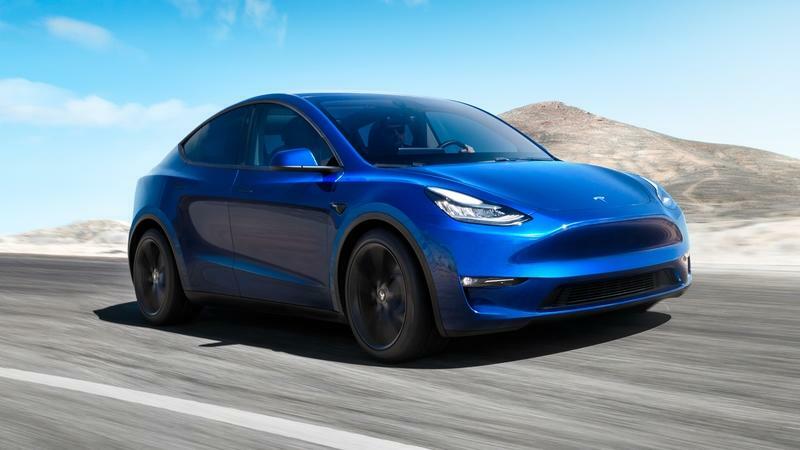 The official dimensions for the Tesla Model Y are not yet confirmed, but Elon Musk reported it is 10 percent larger compared to the Model 3. Now, we are yet to see if the Tesla Model Y is any longer than the Model 3. According to my assessment of the photographs Tesla released - it isn’t. Completely devoid of any chrome decorations, but garnished with subtle dark plastic protection surfaces on the fenders, bumpers, and skirts, the Tesla Model Y tries to demonstrate its utilitarian qualities. Yet, without clear visual distinction against the Model 3 it is based on, it is hard to imagine it to be an all-new crossover. It is more like a special version of the Model 3. An almost perfect analogy to describe the relation of the Model 3 and the Model Y is to compare it with the BMW 3 Series Sedan and the pseudo-MPV that is the BMW 3 Series GT badge. Nevertheless, it will sell like hotcakes - something the BMW 3 Series GT never could achieve.